KENDALL HEALTHCARE GROUP, LTD., d/b/a Kendall Regional Medical Center, et al., Appellants, v. Rafael MADRIGAL, M.D., et al., Appellees. White & Case LLP, and Raoul G. Cantero, David P. Draigh, and Ryan A. Ulloa, Miami; Taché Bronis Christianson and Descalzo P.A., and Walter J. Taché and Marissel Descalzo, for appellants. Ross & Girten, and Lauri Waldman Ross and Theresa L. Girten, Miami; Marcus Neiman & Rashbaum, LLP, and Michael A. Pineiro and Daniel Lawrence Rashbaum, for appellees. Before EMAS, C.J., and SCALES and HENDON, JJ. *1 The respondents below, Kendall Healthcare Group, Ltd. d/b/a Kendall Regional Medical Center, et al. (collectively, “Kendall Regional”), appeal from a final judgment entered under section 620.2122, Florida Statutes, of the Florida Revised Uniform Limited Partnership Act (“the Act”), awarding each petitioner, Dr. Rafael Madrigal, Dr. Juan Suarez, and Dr. Jorge Suarez Melendez (collectively, “the physicians”), $ 3.34 million as the “fair value” for each limited partnership interest (“LP interest(s)”) in Kendall Regional plus prejudgment interest, compounded quarterly. For the reasons that follow, we affirm the final judgment except for the calculation of the prejudgment interest and remand for a recalculation consistent with this opinion. In 1991, each of the three physicians purchased one LP interest in Kendall Regional. Following a squeeze-out merger at the end of 2014, the physicians were informed that each LP interest had been converted into the right to receive $ 1.1 million and each physician had the option to either accept the $ 1.1 million offer or exercise his right to have the “fair value” of his LP interest determined by a court. The physicians declined the offers and demanded a greater amount as the estimated fair value for each LP interest. After the physicians’ demands were rejected, they filed a petition for appraisal against Kendall Regional to determine the “fair value” of their LP interests under section 620.2122 of the Act. 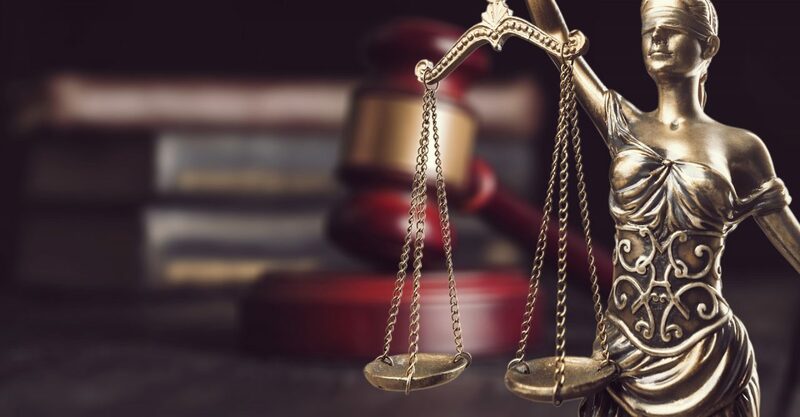 At the non-jury trial on the physicians’ petition for appraisal, both sides presented expert testimony as to the fair value of each LP interest. The experts utilized the same valuation method, which required each expert to take into account numerous factors, including the “cost of capital” and whether a “company-specific risk premium” (“CSRP”) should be added to the discount rate. In their proposed orders, each party set forth figures relating to the cost of capital and the CSRP that favored their respective positions. Approximately two weeks after the proposed orders were submitted, the trial judge adopted the physicians’ proposed order verbatim, except for changing the title of the order. The order valued each LP interest at $ 3.34 million and awarded prejudgment interest to the physicians, compounded quarterly. Thereafter, the trial court entered a final judgment. Kendall Regional’s appeal ensued. *2 Kendall Regional contends that the trial judge failed to exercise its independent judgment because it adopted verbatim the physicians’ proposed order. Based on the record before this Court, we disagree. When the trial judge accepts verbatim a proposed final judgment submitted by one party without an opportunity for comments or objections by the other party, there is an appearance that the trial judge did not exercise his or her independent judgment in the case. This is especially true when the judge has made no findings or conclusions on the record that would form the basis for the party’s proposed final judgment. This type of proceeding is fair to neither the parties involved in a particular case nor our judicial system. (1) the trial judge may ask both parties or one party to submit a proposed final judgment; (2) if proposed final judgments are filed, each party should be given an opportunity to review the other party’s proposed final judgment and make objections; (3) if only one party submits a proposed final judgment, there must be an opportunity for review and objections by the opposing party; and (4) prior to requesting proposed final judgments, the trial judge should, when possible, indicate on the record the court’s findings of fact and conclusions of law. Based on our review of the record, we reject Kendall Regional’s argument that the trial judge failed to exercise his independent judgment merely because he adopted verbatim the physicians’ proposed order. The transcript reflects, and Kendall Regional has acknowledged, that the trial judge actively participated in the nonjury trial. The trial judge asked pertinent questions relating to the valuation of the physicians’ LP interests, and based on those questions and other statements made by the trial judge during the bench trial, it appears that the trial judge understood the expert testimony regarding the valuation of the LP interests. See Cabrera v. Cabrera, 987 So.2d 753, 755 (Fla. 3d DCA 2008) (“[T]he record before us indicates that the trial court actively participated in the final hearing. The trial court’s active participation in the proceedings supports our conclusion that there is no appearance that the trial court did not exercise its independent judgment when entering the final judgment in the instant case.”). Further, at the conclusion of the non-jury trial, the trial court made only one definitive finding of fact—the use of a 30/70 capital structure—and that finding is included in the final order. The transcript also indicates that the trial court did not make definitive findings as to the “cost of capital” or whether a CSRP should be added to the discount rate. The judge informed the parties that he was leaning in certain directions as to those factors and informed the parties as follows: “If you want to address those issues in your judgments, I would be happy to entertain them.” Further, the trial judge allowed both parties to submit proposed orders, and by doing so, each party’s submissions likely “apprise[d] the judge of their positions and their disagreements with the opposing party’s” position. See In re T.D., 924 So.2d 827, 830 n.2 (Fla. 2d DCA 2005). *3 Based on the above analysis, although the trial judge adopted verbatim the physicians’ proposed order, the record before this Court reflects that the trial judge did not delegate its independent judgment. See Empire World Towers, LLC v. CDR Créances, S.A.S., 89 So.3d 1034, 1046 (Fla. 3d DCA 2012). Accordingly, reversal is not warranted on this basis. Kendall Regional does not challenge the trial court’s determinations that the physicians are entitled to prejudgment interest as of the date of the merger or the interest rate the trial court applied. However, Kendall Regional contends that the trial court erred by determining that the prejudgment interest should be compounded quarterly and argues that the prejudgment interest should be calculated using simple interest. We agree. The physicians have acknowledged that the general rule in Florida is that interest should not be permitted on a sum that is interest itsel —“interest on interest”—but argue that the general rule is not applicable. In making this argument, the physicians rely on (1) section 620.2122(1), which requires the trial court to “determine the fair value of the partnership interests and accrued interest” (emphasis added); (2) section 620.2122(5), which provides that “[e]ach partner made a party to the proceeding is entitled to judgment for the amount of the fair value of such limited partner’s limited partner partnership interests, plus interest, as found by the court” (emphasis added); and (3) section 620.1107(1) which provides that “the principles of law and equity supplement [the Act].” We do not interpret any of these provision as authorizing the trial court to award compounded prejudgment interest. Finally, the trial court’s reliance on In re Sunbelt Beverage Corp. Shareholder Litigation, 2010 WL 26539 (Del. Ch. 2010), was also misplaced. Unlike section 620.2122, the applicable Delaware statute specifically provides that, “[u]nless the Court in its discretion determines otherwise for good cause shown, interest … shall be compounded quarterly …. ” As the Delaware statute indicates, if a legislature intends to have interest compounded or to give the trial court discretion to do so, it knows how to clearly set forth its intent in a statute. Therefore, based on the above analysis, we reverse the portion of the final judgment that provides that the prejudgment interest should be compounded quarterly and remand for a recalculation of prejudgment interest utilizing simple interest. *4 Accordingly, we affirm all portions of the final judgment except for the portion stating that the prejudgment interest should be compounded quarterly and remand for a recalculation. Affirmed, in part; reversed, in part, and remanded for a recalculation of prejudgment interest.